Westside Pest Control has provided some information for you regarding many different types of pests and wildlife. We provide some great tips for homeowners, businesses, and commercial facilities in order to keep the pesky pests at bay! Got Silverfish problems? We share some top tips to get rid of these pesky buggers! No need to panic, Silverfish pose no risk to your health – however, they can cause problems in your home or business if not taken care of as they feed on all types of items including stored boxes, paper, clothing and food – they love to feed on starch and carbs! Got Carpenter Ants all around your pavements? We share some top tips to get rid of these pesky buggers! No need to panic, carpenter ants don’t pose a threat, they are not capable of spreading disease. – however, they can still be dangerous. The danger with carpenter ants comes from the fact that they make their nests in wood. If they choose your home for their nest, they can cause serious structural damage. Where Do Carpenter Ants Hang Out? How To Prevent Carpenter Ants? One or two ants in the house during the spring or summer could actually be the sign of a major structural infestation. If you could see them on regular basis during the spring than it’s time to take action!. Many clients leave the problem overgrow because they can see the ants during the spring but they “disappear” during the summer. The truth is the carpenter ants don’t just “disappear”. 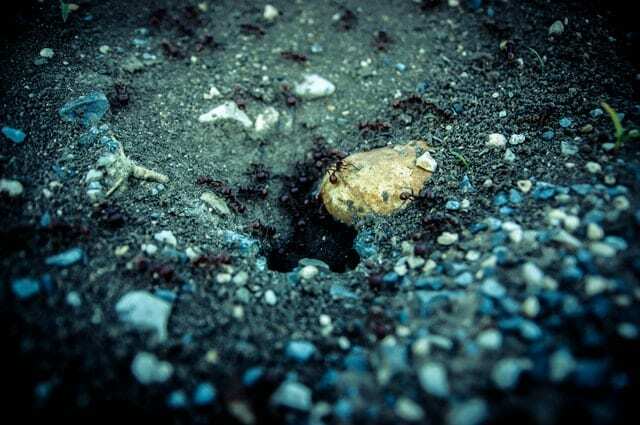 Because of the warmer weather, the ants begin foraging outside rather than inside the house but the nest is still active in the exterior walls! So where to look for the traces of carpenter ants? In order to eradicate the colony, the primary nest has to be detected and treated. Most common mistake is disturbing the nest by insecticides or repellants without reaching the queen. Result of it is colony moving to the different part of the structure and you have to start with searching again. Also when the colony is in danger the queen goes into egg-laying overdrive to repopulate the colony, which could well make the original problem even worse. Another procedure is open up the wall and vacuum the entire nest and also replacing damage wood. Because of those difficulties the easiest way is to call professionals and they should apply non-repellent borates into the wall cavities. It works best for simple reason – it’s not detectable by carpenter ants. 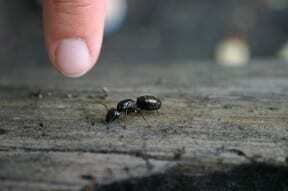 Got Pavement Ants all around your home and yard? We share some top tips to get rid of these pesky buggers! How to Identify Pavement Ants? Where Do Pavement Ants Hang Out? How To Prevent Pavement Ants? It’s good idea to take a walk around your house to look for signs of pavement ants. What to look for? Based on the name you can likely guess where pavement might be located. Generally below sidewalks, driveways, slab-on-grade foundations are perfect places for nesting. An obvious sign of pavement ants during the summer is piles of sand – sand in between pavement cracks, patio stones, against foundation etc. The pavement ant diet is various: insects, seeds, honeydew, honey, bread, meats, nuts, ice cream, cheese or any sugary substance. Pavement ants love sugar! Seal up cracks and crevices around window and door frames with Purchase an insecticide with Boron or Borax solution at your local hardware store. Liquid based preferably. Tip: Never combine treatments in one area – baits attract, sprays repel etc. The spray will make them stop eating the bait. Got Pigeons flying around causing havoc? We share some top tips to get rid of these pesky buggers! Birds like pigeons are mainly a nuisance. Aside from the frequent annoyance at parks and beaches, these birds can reek havoc in warehouses, city locations, and commercial facilities. They may not to be harmful to humans, but can be detrimental to a businesses. What Sort Of Birds Are A Nuisance? What Sort Of Damage Can Birds Cause? How To Solve Bird Issues? One of the most common pest in Vancouver ~ Feral pigeon. Originally as domestic pigeon (derived from wild rock dove) has been released back into the wild – our current Feral pigeon. There are many kinds of pigeons coming in colorful pallet. 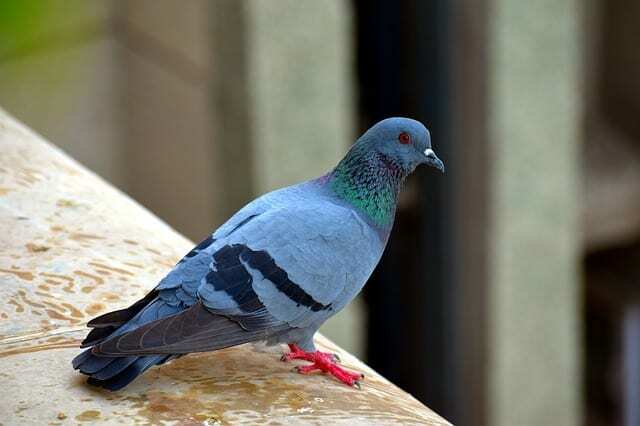 There are couple things which home and business owners could do to prevent pigeons roosting even the pigeons are very persistent. Fake hawk or electronic devices have not been proved as 100% efficient. They are good way how to increase your chance to prevent the pigeons roosting. Hear scratching in the walls? Feel like you should do something about it? We share our best rat prevention tips. Unfortunately, yes. Rats can carry many diseases that are harmful to people. They can also be dangerous when they gnaw on electrical wiring. Rats are tricky to handle with pest control companies are constantly battling to eliminate these pesky rodents. What Are Some Rat Prevention Basics? How To Identify The Different Types Of Rats? How To Prevent A Rat Infestation? Let’s add that the easiest way how to determine mice from rats is based on the their droppings. For rats we could say that their droppings are bigger than a grain of rice. Mouse droppings are smaller than a grain of rice. Rats prefer not to share their living space with humans so mostly only two indicators are possible – droppings in the attic/crawl space/furnace room or noise in the walls/ceiling/floor. On the other side mice don’t mind to enter the kitchen, living room or other places of the house/apartment. Every treatment should start with pest identification. Lower Mainland deals with two kinds of rats – Roof Rat and Norway Rat. However commonly are mice determined as a rats by mistake. What kind of indicators to look for? Traps or rodenticides? The basic rule here is till the house is 100% excluded you should avoid to using poison (you don’t want a dead rat in your wall). The right exclusion is essential for solving rat issues. Snap traps on their own are a great monitoring tool but keep in mind that the bait could be eaten by mice without being set off. On the flip side, rats can trigger a mouse trap without being caught but they will become wary after the shocking experience. Got Seagulls making a sense of your popup store, market stand, or commercial facility? We share some top tips to get manage these flying rodents! The coastal bird Seagulls, can be harmful. There are few reasons for Gulls control. They can carry E. Coli. Their droppings may contain Salmonella bacteria. Also their nesting material can cause machine failure (rooftops) and can be reason for floods by sticking the gutters or drains. 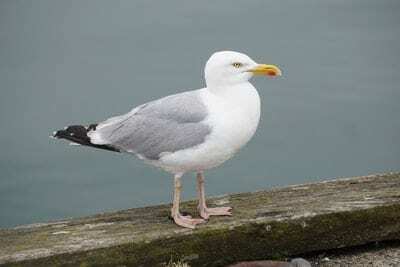 What Do Seagulls Look Like? Got Raccoons scurrying round your trash bins? We share some top tips to help manage these pesky buggers! How To Keep Raccoon Away? Probably cutest pest in Vancouver are Raccoons. 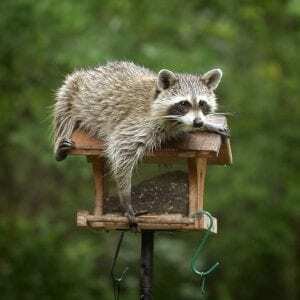 Known for their extreme adaptation skill, Raccoons are great at making their homes in urban areas. It’s good to know that they have as many as twenty den locations within a few square blocks. We share our best mouse prevention tips. What Are Some Mice Prevention Basics? How To Keep Mice Out Of My House? What Are The Best Tips to Keep Mice Away? Traps or rodenticides? Unlike rats with mice you could use rodenticides even you are not sure if the house is excluded. There are of course strict rules how to use the bait (keep it away from children, pets etc.). Using both appeared to be an effective procedure. The right exclusion is essential for solving mice issues in long term perspective. There are much more which needs to be done by owner/tenants. Destroyed packaging, mouse droppings, scratching in the walls? Learn how to keep the mice away from your facility. How To Keep Mice Out Of My Facility? Exclusion, Trapping, Baiting.. What Else Can I Do? Traps or rodenticides? You are not allow to use the bait in the places where food is manipulated (restaurants, food factories…) Otherwise unlike rats with mice you could use rodenticides even you are not sure if the house is excluded. There are of course strict rules how to use the bait (keep it away from children, pets etc.). Using both appeared to be an effective procedure. The right exclusion is essential for solving mice issues in long term perspective. But exclusion, trapping and baiting is usually not enough to solve the mice infestation. There are much more which needs to be done by owner/staff. Skunk are famous for their defensive mechanism. Theier vicious spray carries a extremely awful odour which is a mixture of sulfur containing chemicals such as thiols. Be mindful of these nocturnal creatures because removing skunk spray from clothes is a real challenge. Don’t the skunk spray is the main thing you need to beware of. Skunks unlike Raccoons don’t carry disease and Skunks in BC are also not carriers of rabies. What Types Of Skunks Exist? What Are Some Skunk Prevention Methods? How To Keep Skunks Out? We have two species of skunk in BC: Striped skunk and Western Spotted Skunk (wildsafebc.com). With their 80 cm in length and 2-4kg falling into small mammals category. They are very valuable animals because they control the small rodents population in your neighbourhood. Beside small rodents they like insects, nuts, plants and fruits. Be aware that they are nocturnal animals with poor eyesight so it’s easy to surprised them. Yes! Wasps, hornets, yellow jackets can carry a nasty sting! These stinging insects can be dangerous to people and should not be near your home and family. What Types Of Wasps Are In Vancouver? The European paper wasp (umbrella wasp) is a relative newcomer to BC, and is often confused with the native paper wasp and the yellowjacket. It has a more slender body with longer legs, but like it’s cousin it still has a stinger that doesn’t quit. The sting from a paper wasp is not as painful however as the bald faced hornet or yellowjacket. Hornets are the largest of the trio, and the ones in BC are usually identifiable by their striking black and white ‘bald face’ – hence the name bald-faced hornet. Like the other two on this list, the bald-faced hornet can sting repeatedly. 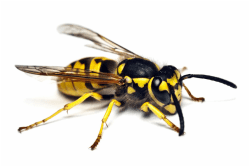 Can I Remove A Wasps Nest Myself? Be aware that wasp early in the morning are less active so it’s easy to miss their present during the fruit picking etc. Cockroach are another unwanted pest around the home. Let’s look at some prevention tips. What Are Some Cockroach Prevention Tips? Most prevalent kind in Lower Mainland is German Cockroach (but there are thousands of species worldwide). Their size is about 1.3 – 1.6 cm, tan – light brown in color. Typical sign is two parallel strips between the head and base of the wings. Even though they have a wings they are not able to fly. Cockroach are a nuisance for food establishments and a real nightmare for chefs and kitchen staff. Restaurants and bars need to work hard to maintain a clean environment to keep cockroaches away. Let’s look at some prevention tips. What Businesses Are Prone To Cockroaches? In addition to restaurants and other food establishments, cockroaches can be found even in businesses without stored food products.